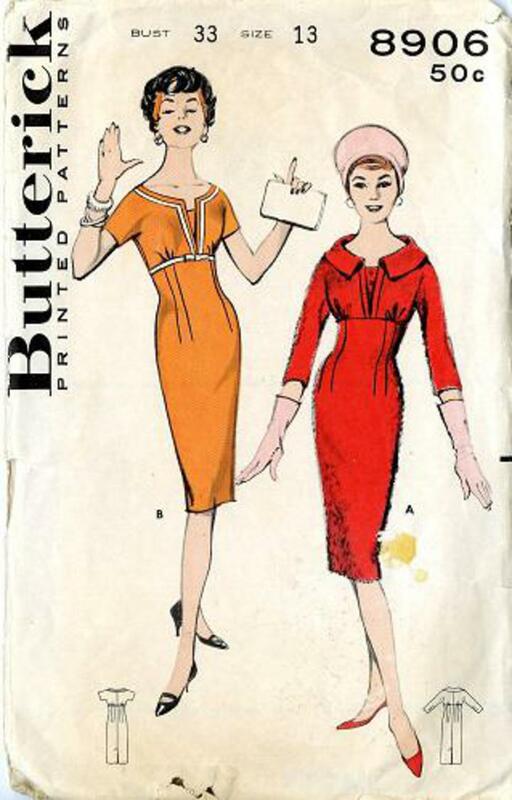 1959 Butterick #8906 vintage sewing pattern, junior misses' fitted sheath dress, size 13. Slender dress with figure-molding lines, high-rising waist, and a novel bodice inset. 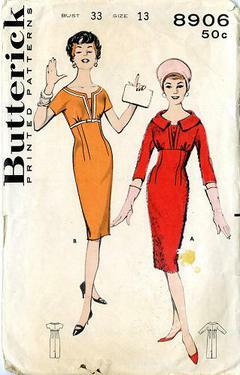 (A) three-quarter sleeved version with standaway collar. (B) short sleeves, scoop neck, contrasting inset and trim.